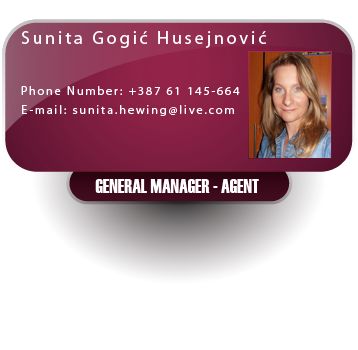 Sunita Hewing Real Estate Agency wish you welcome in world of Real Estate Properties in city Sarajevo! Call us and will give you the service you need!. Send us your requirements from the "Contact Us" page and we will find the ideal house / apartment for you.